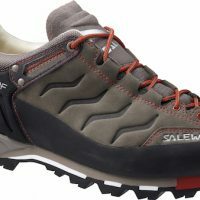 Salewa has been making mountaineering boots and trail running shoes for many years now and introduced a shoe for the mountain hiker. They designed the Wander Hiker, which ended up being one of the more interesting, well designed shoes in this test. 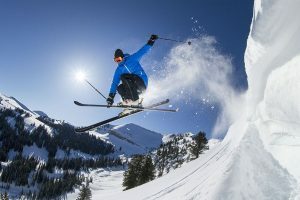 Other products such as the Salomon X Ultra and Lowa Renegade, which have been around for a while, simply fine tuned a reputable shoe. All of these shoes were tested in the field, ranging from short and steep jaunts up the foothills of Colorado’s Front Range to all-day slogs in the high alpine. The terrain encountered was a healthy mix of long miles on established trails, extensive off trail bushwhacking, ridge scrambles, scree slopes as well as just walking around town. Over the course of the summer, more than 200 miles were logged on these five shoes. 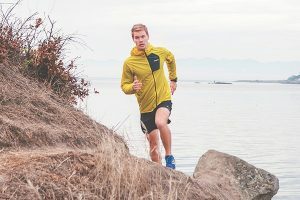 Within this particular testing class, the Salomon X Ultra 2 GTX had the comfort of a Merrell, the construction of a Lowa, and performance in a class of its own. This is the kind of shoe where if the fit is right, you’ll probably remain loyal for life. But the trick will be in getting use to the Quicklace system. The Merrell FST Moab Waterproof hiker carries on the Merrell tradition of ultra comfort, only this model takes it a step further with some features that make it a more versatile shoe. 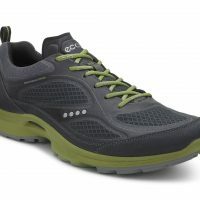 It blends the comfort of a traditional hiker, the feel of a lightweight trail runner, and the grip of an approach shoe. Despite the moderate score, the out-of-the-box comfort was excellent. The Wander Hiker is a solid all-around functional hiking shoe that utilizes unique technology, including Michelin outsole tread and a GumFlate midsole, to provide your feet added benefits when out for a quick day trip or an extended multiday excursion. 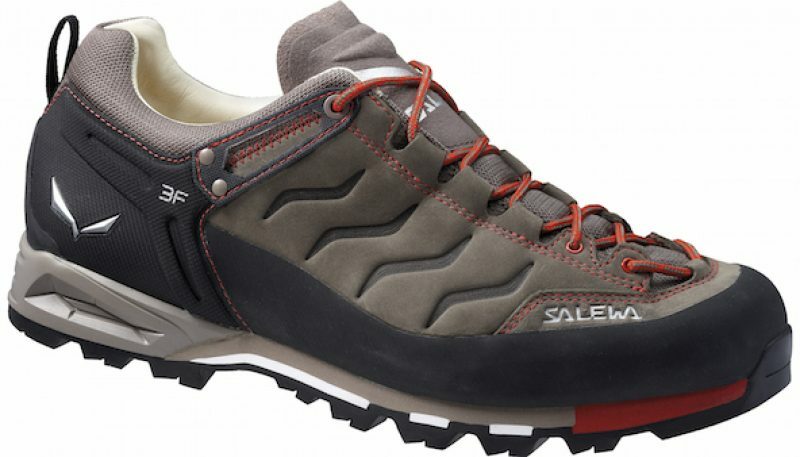 Unlike other Salewa shoes, this model is good for wide feet. 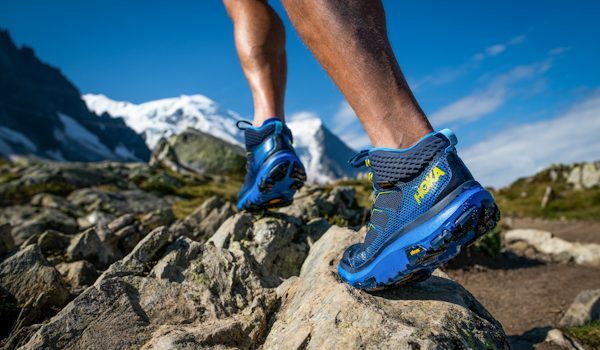 The Salewa Mountain (or MTN) Trainer is an Italian-made hiking shoe, like the La Sportiva, featuring quality construction, fit, and performance as the top priorities. 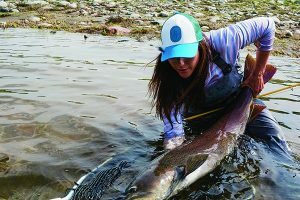 With Salewa, you get a precision yet slightly more forgiving fit. The upper is leather as well for awesome protection even when carrying heavy packs. Finding the right shoe can be a long and painful process. 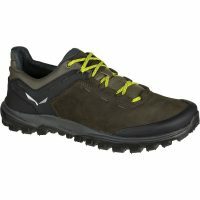 Advancements made in low top hiking shoes, this has made the search a little easier over the years, negating the need for a big, heavy, uncomfortable high top boot. 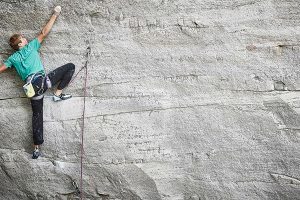 An obvious observation made in the 2017 test was shoe companies are making shoes more comfortable without sacrificing really any support or performance. Essentially all the shoes in this test group fit well and were offered in a wide size and the shoes constructed with high quality leather that was easy to break in. EVA material (Ethylene Vinyl Acetate) is used consistently across the board, with its dense foam acting as an excellent and durable shock absorber in the soles of all these shoes. Originally making its name in the running scene, EVA has become standard in a lot of hiking shoes and the comfort benefits are welcomed. It is also consistent with the eco-friendly nature of the industry in the sense that it is easier on the environment with the absence of chlorine used in its production and less toxicity after discarding. It’s also easy to recycle and a lot of shoes use recycled EVA in their construction. 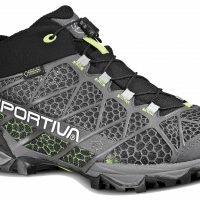 New technology was used in some shoes such as the Wander Hiker offering innovative features like the GumFlate and Michelin outsoles, or Gore-Tex Surround on the La Sportiva’s or Quiklaces on the Salomons. The Lowa Renegades seem to rest on the laurels of past success. 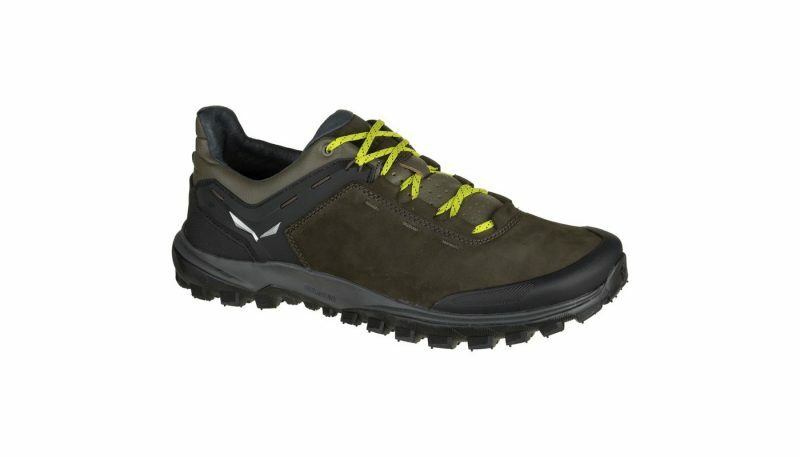 The high quality Nubuck leather, Gore-Tex lining and Vibram soles are all fine and reliable attributes of a high quality hiking shoe, but after having seen and experienced some of the newer innovations listed above, hopefully we’ll start to see things like that implemented in the Lowa, especially in the category of comfort. The Merrell Moab FST was consistent with what we’ve come to appreciate about the Merrell brand, with a touch of performance in its Vibram grip and lightweight, sporty look, but it would be nice to see more durable construction used throughout the entire shoe without having to jack up the price. It’s certainly possible as evidenced in the Salomon. The most comfortable shoe in this test was, by far, the Merrell Moab FST, thanks to its out of the box fit. The design of this shoe was centered around its comfort. The least comfortable shoe was the Lowa Renegade, which had a pretty terrible insole, stiff flex and the least amount of breathability. 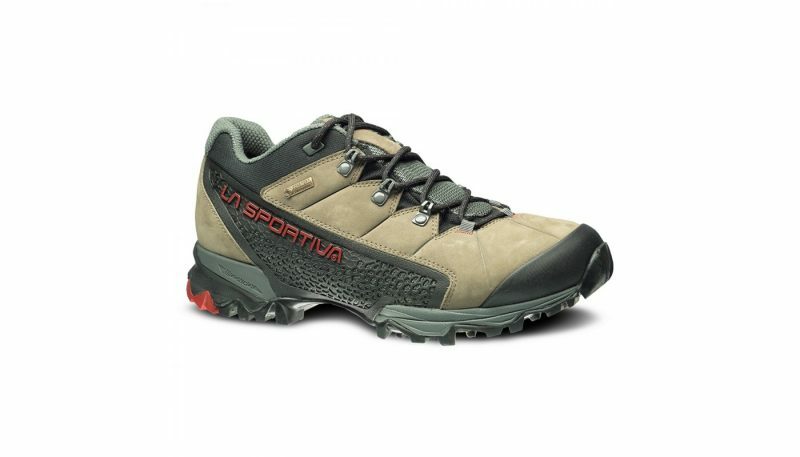 The shoe with the best protection was the La Sportiva Genesis, with its Gore-Tex Surround design and burly toe guard. Both of these features were put to the test in some of the rougher terrain of the entire test group, withstanding numerous miles off-trail bushwhacking, boulder hopping and traversing uneven, unstable terrain. 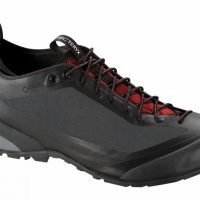 The shoe with the worst protection was the Merrell Moab FST, which had nothing more than a flimsy mesh exterior, weak toe guard and no real protection around the foot. The most well constructed shoe was the Lowa Renegade, which helped justify the high MSRP a bit. High quality leather and a Gore-Tex outsole put this shoe in a class of its own. The shoes showed basically no signs of wear after prolonged trail hiking in some of the more rugged parts of Rocky Mountain National Park. The shoe with the worst construction was the Merrell Moab FST, but this shoe wasn’t designed to be a workhorse, it was designed for its comfort and traction. 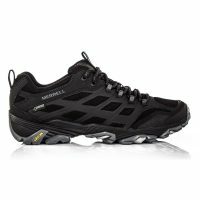 The shoe with the best stability was the Salewa Wander Hiker, mainly due to its GumFlate, which provided unrivaled balance and confidence on rough mixed terrain. 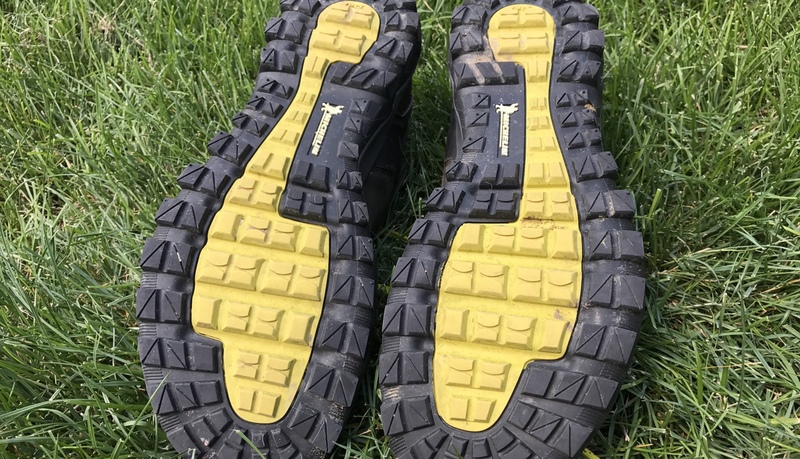 This innovative technology made travel through just about any terrain that much better and easier, and combined with the superior traction of the Michelin rubber, the Wander Hiker stood out against some pretty solid competition. The least stable shoe was the Merrell Moab FST due to its thin footbed and flimsy, exposed exterior lining. That being said, this was yet another category where the shoe still excelled in certain areas, but just wasn’t able to compare well with the other shoes. What the Moab FST lacked in thickness or protection, it made up for in its Vibram grip and shock absorption in the heel. 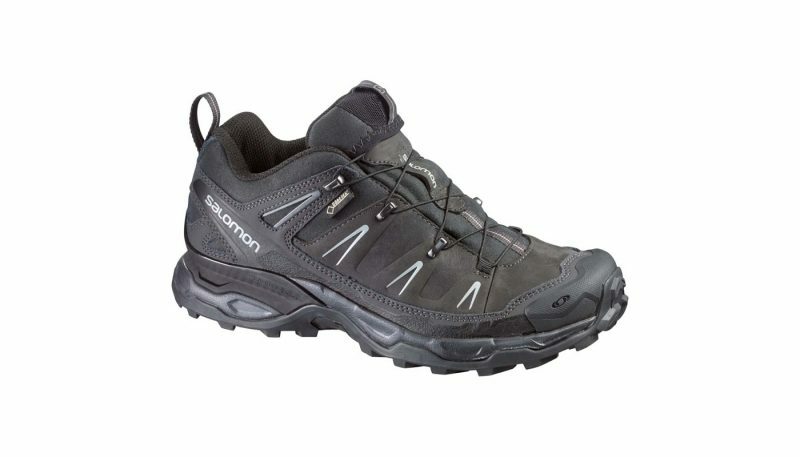 The highest performing shoe was the Salomon X Ultra 2, excelling in all environments and terrain. From long 15+ mile days in the Sangre De Cristos, to grip around boulder fields where sure footing is paramount and then the longevity and day in day out comfort on a five-day backpack in the Weminuche Wilderness, the X Ultra 2’s didn’t show any weaknesses. 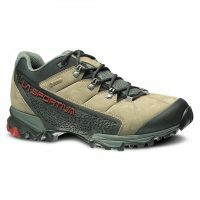 The lowest performing shoe was either the La Sportiva Genesis or Salewa Wander Hiker, as they were more true hikers. They were by no means low performing shoes, just didn’t match up well to the competition in this pool. This year’s hiking shoes were tested using a pretty simple method – lots of hiking. Specific criteria we rated were stability, comfort, protection, construction and performance. Stability focused mainly on the various soles, whether it be an outsole, insole, midsole or anything and everything in between, and how those soles worked in conjunction with the rest of the shoe. All the shoes in this test group had good ratings in stability, mainly due to them all using the same general technology. Each of them had good shock absorption, some sort of additional layer between the mid and outsole and most of them had a footbed that cradled the foot, providing all day comfort, which in turn, helps stability. 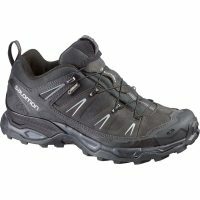 Most of the shoes had out of the box comfort, with a few needing some breaking in, but all in all, low top hiking shoes have become popular in the outdoor world as a viable alternative to big, heavy, uncomfortable boots thanks mainly to this comfort coupled with comparable stability and high performance. The X Ultra’s were tested on a number of 15+ mile days in the Sangre de Cristos of Colorado. They were also tested on a 5-day traverse in the remote Mount Oso Massif of the Weminuche Wilderness, San Juan Mountains, Colorado. The Salewa Wander Hiker was broken in on a number of steep 5- to 6-mile hikes on Mount Morrison outside Morrison, Colorado as well as many climbs of South Boulder, Bear and Green Mountains above Boulder, Colorado. Once broken in, they were worn on long 15+ mile days in Rocky Mountain National Park and 10+ mile days in the Sawatch Range. The La Sportiva Genesis were tested initially in the foothills outside Golden, Boulder, Fort Collins, and Morrison during the break-in period, and then progressed to a weekend of off-trail bushwacking on 13ers in the Holy Cross Wilderness. The Merrell Moab FST’s were tested on 25-mile day hikes throughout Colorado such as the Barr Trail on Pikes Peak, a 15-mile, 5,000 foot vertical day on Longs Peak, and some easier 13ers with minimal bushwhacking, but long approaches. Testing was also conducted on a three-day backpack trip in the Maroon Bells Wilderness bagging numerous 13ers around Willow Lake, Willow Pass, and Buckskin Pass as well as a 7-mile approach in with a heavy overnight pack. They were put to the test regarding their scrambling ability on the Sleeping Sexton next to North Maroon Peak. 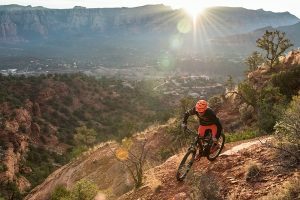 Finally, the Lowa Renegades were tested on numerous trails and craggy peaks throughout Rocky Mountain National Park, as well as trails around the foothills of Golden and Boulder, Colorado. Within the hiking shoe category are waterproof hikers and breathable (non-waterproof) hikers which can come in the form of simple hikers or walking shoes, trail runners, approach shoes, and hiking boots. 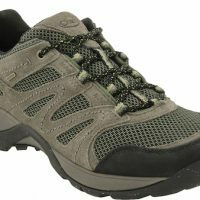 The basic hiker or walking shoe are overall the most versatile shoe in the hiker category as they get used for day hikes, overnight backpacking trips, approach scrambling, and just around town. Trail runners have become versatile as well, but are mainly used for trail running and approach shoes are more designed for scrambling. Boots are, and always will be, great for backpacking and carrying heavy loads, but don’t have anywhere near the versatility and overall comfort of low top hikers. 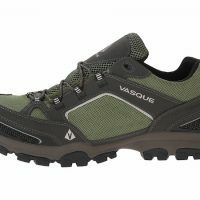 The criteria used to rate these low top hiking shoes were stability, comfort, protection, construction and performance. 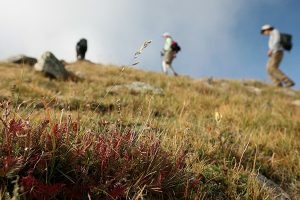 This criteria was applied in a number of outdoor arenas including quick day hikes ranging anywhere from 1-3 hours, long day hikes ranging from five to 10 hours, and multi-day backpacking trips that included long approaches, off trail bushwhacking, and high alpine climbs thrown into the mix. These outings provided a well rounded idea of what these shoes had to offer across these five criteria. The main things that made these shoes good were all day comfort, breathability and solid grip. A shoe, such as the Merrell Moab FST, provided all day comfort, kept water out but provided some breathability and performed admirably with its Vibram sole grip. On the other hand, some of the attributes that make these products good can also make them bad. For example, the Merrell Moab FST was the most comfortable in its class but it also had the poorest construction in terms of durability. 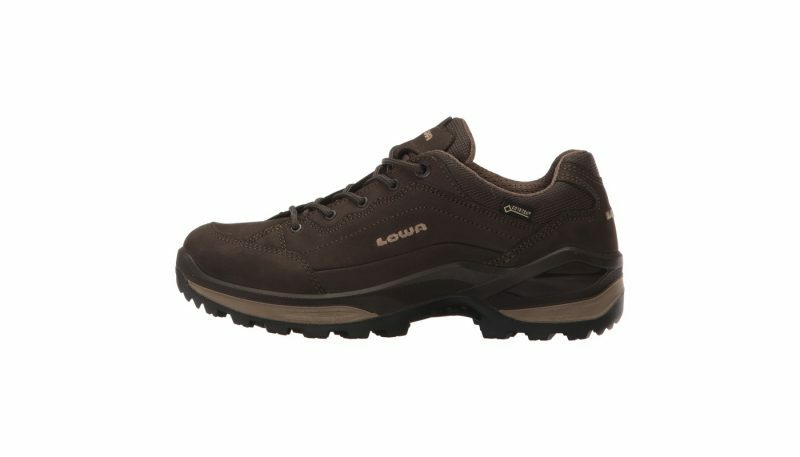 The high quality leather of the Salewa or Lowa hikers required longer, more uncomfortable break in periods. The La Sportivas had great all around protection, but also had a bit of a break in period and were tailored to narrower feet. Shoes in this category ranged in price anywhere from $135 to $210. 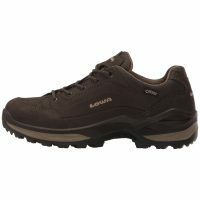 This seemed to correlate with the materials used, as shoes with high quality nubuck leather products costing more, while the simple and comfortable Salomon and Merrell shoes were on the lower end of the price range. Nevertheless, despite the low price, the Salomon performed the best overall in its class. 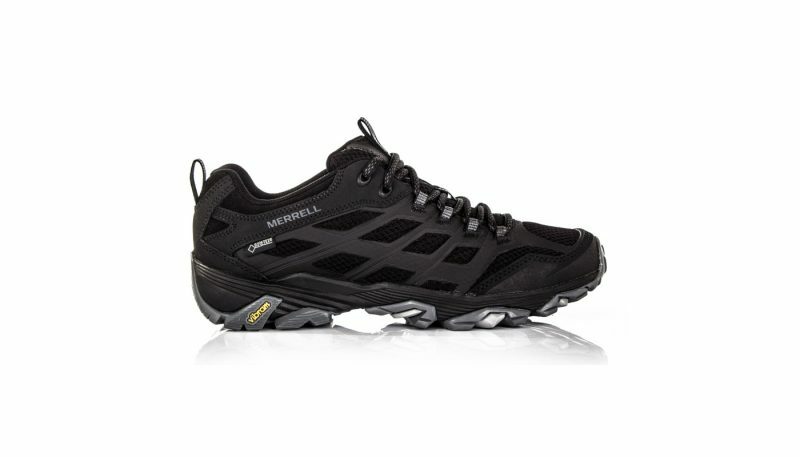 Merrell’s were the most affordable, with the Salewa and Lowa shoes closer to the “luxury” side. Gore-Tex Surround : Breathable technology that provides waterproofing while allowing moisture to escape from the bottom of the shoe rather than just the upper and sides. TPU: Thermoplastic Polyurethane foam used in midsoles that advertises being three times more temperature resistant when compared with other midsole materials. M Select Fit.Eco: Merrell’s proprietary footbed, crafted from blended EVA offering superior support, stability and contoured comfort.